Al Khobar-based Axis Inspection Ltd, an inspection services provider in Saudi Arabia, is looking forward to expand its presence across the Middle East and Africa (MEA) region, this year. 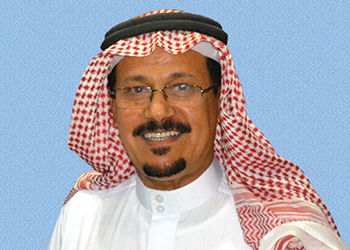 Having grown steadily over the last seven years, the specialist company is now planning to diversify its operations into various related fields like industrial support services, industrial coating services, metallurgical services and trading, says company’s president Abdullah Fouzan Al Shammari. Giving a very optimistic outlook for the coming year, Al Shammari says: "With additional technologies added, increased manpower and equipment, we are sure to increase our business volume. Also, we are planning to expand our presence in the Middle East and Africa." Al Shammari observes that the total volume of inspection and NDT services market in Saudi Arabia is showing a very positive trend and Axis, in particular, is doing good business and has a good market share in this market. "Compared to last year, we have improved our turnover by 30 per cent this year," he says. Established in Al-Khobar, Saudi Arabia in the year 2007, Axis is engaged in every aspect of the oil, natural gas and petrochemical industry, and provides project inspection services starting from review of procedures, stage wise inspection, raw material inspection, construction inspection, witness hydro testing and others. Al Shammari highlights that while the oil and gas sector in the region has been growing progressively over the years, but currently, most of the growth is happening in the downstream petrochemical sector. "As an inspection and NDT services company, we, at present, are focusing on petrochemical sector and most of our active contracts are from this sector," he says. The company has ongoing long-term Inspection and NDT contracts with major companies in Saudi Arabia like Sabic, Saline Water Conversion Corporation (SWCC), Saudi Electricity Company (SEC), Sadara Chemical Company, Sahara Petrochemical Company, Yanbu Aramco Sinopec Refining Company (Yasref) and their respective contractors. It is also an approved vendor of Saudi Aramco, Sabic, SEC, SWCC and most of the petrochemical and electromechanical construction companies in Saudi Arabia for inspection and non-destructive testing services. According to Al Shammari, during the last year it added many prestigious clients like Sadara, PetroRabigh Power Company, Yasref, Haliburton and few others. The company says its well qualified and experienced technical staff, equipped with state-of-the-art equipment, can execute all the advanced as well as conventional NDT jobs and perform inspection services. "We have well experienced team to execute on-stream-inspection services for various petrochemical installations," Al Shammari says. Some of the advanced and conventional NDT services provided by Axis are: Automated High Temperature Ultrasonic Corrosion Mapping, Time-of-flight diffraction (TOFD), Phased Array, Acoustic Emission, Long Range Ultrasonic Testing (LRUT), Small range Ultrasonic Testing (SRUT), Magnetic Flux Leakage (MFL) Tank Bottom Floor Testing, Exchanger Tube Inspection (ECT/RFT/MFL/IRIS), Boroscopic Inspection, Positive Material Identification, Vaccum Box Testing, Conventional Radiography Testing, Digital Radiography Testing, Magnetic Particle Testing, Ultrasonic Testing, Penetrant Testing, etc. A SASO, OSHA and ISO 9001:2008 certified company, Axis says it is committed to providing a safe and healthy work environment. It has developed an Axis Safety Management System (SMS) to manage the safety of its facilities throughout the kingdom and to perform its daily activities with the best safety and utmost care. A mid-sized company with a total staff strength of 343, Axis’s head office is located in Al-Khobar, Saudi Arabia and it has a branch office in Jubail Industrial City and a regional office in Yanbu Industrial City, in Saudi Arabia.